An appraisal from Equipment Appraisal Services is an accurate, irrefutable, defensible value of machinery and equipment for your business. It is a report consistent with the Uniform Standards of Professional Appraisal Practice (USPAP). 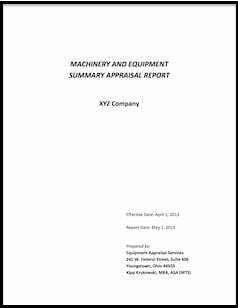 Each report is assembled and reviewed by an accredited appraiser in Machinery & Technical Specialties, a designation awarded by the American Society of Appraisers to experienced and well trained and tested individuals in this specialized industry. If the appraisal report you obtain is not USPAP compliant, it is not a “qualified appraisal” prepared by a “qualified appraiser” and it will not hold up to scrutiny with the IRS, courts, or lenders. 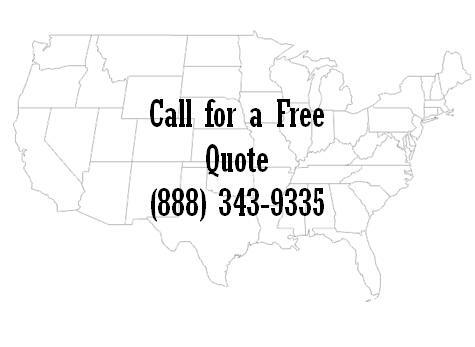 Our appraisals are completed for clients Nationwide. Need an Expert Witness? Our Managing Director has the qualifications to represent you or your client. Sell your machinery in one of our online equipment auctions. Click here for the directory to buy and sell equipment.